This table is an extension for my Steel-Tube Chair Stuhl-M1B (http://www.sharecg.com/v/23821/poser/Steel-Tube-Chair---Stuhl-M1B). The desk top and the bearings merged as Props in the CR2 file. 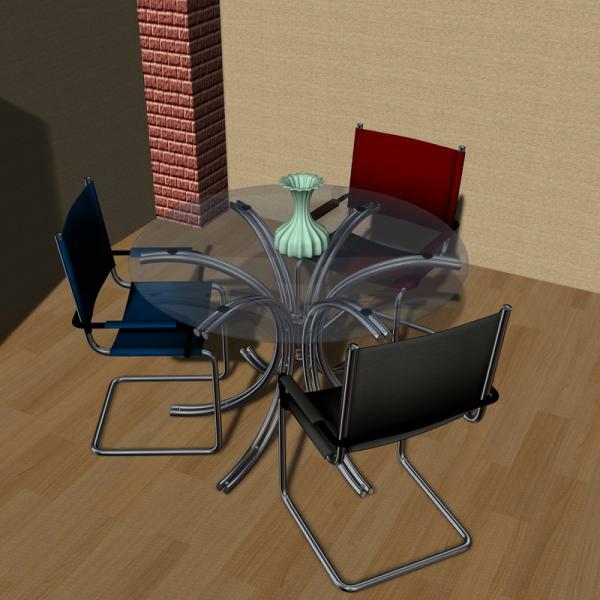 In the package a high Polygon and a low Polygon version of the table are contained. I hope one or more of you finds it useful. This things not runtimed right. I had pieces of it scatter all thru my runtime. Thanks alot. Almasy (9 years ago) Inappropriate?